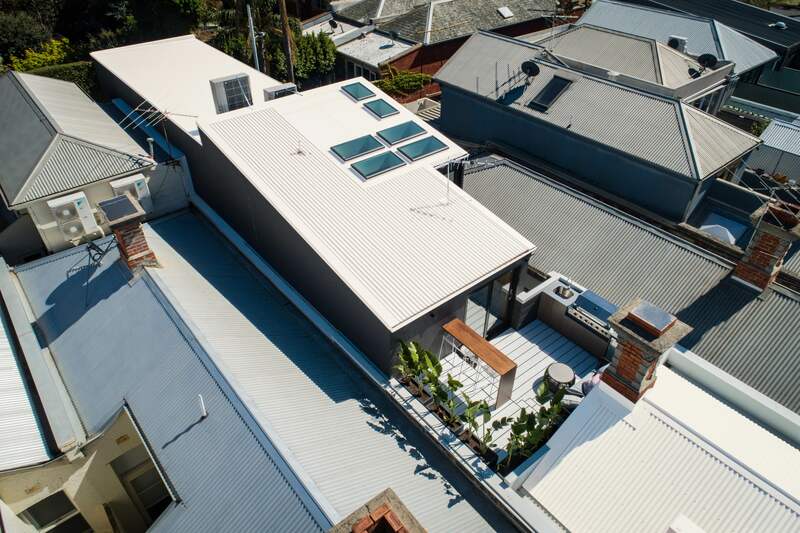 BlueScope has partnered with former The Block contestants, Alisa and Lysandra for their latest project - the renovation of a historic terrace house in Melbourne's exclusive beachside suburb, Albert Park. This is their biggest residential undertaking to date, with the project including three bedrooms, three bathrooms, two separate living areas, a cinema room, and a 10 metre underground cellar! The duo selected COLORBOND® steel Monument® and COLORBOND® steel Surfmist® Matt for their project to "complement the exterior and bring the project to life" says Alisa. "What I love is that we have the corrugated for the traditional part of the house, and the (Lysaght) SPANDEX® for the new part of the house. It's about bringing those two styles together, and having different profiles has really allowed us to do that." Plus, more exclusive footage and photos from the project will be coming soon. Make sure to follow us on Facebook to stay up-to-date!